A volcano erupting on a small island in the Sub Antarctic is depositing ash over one of the world's largest penguin colonies. 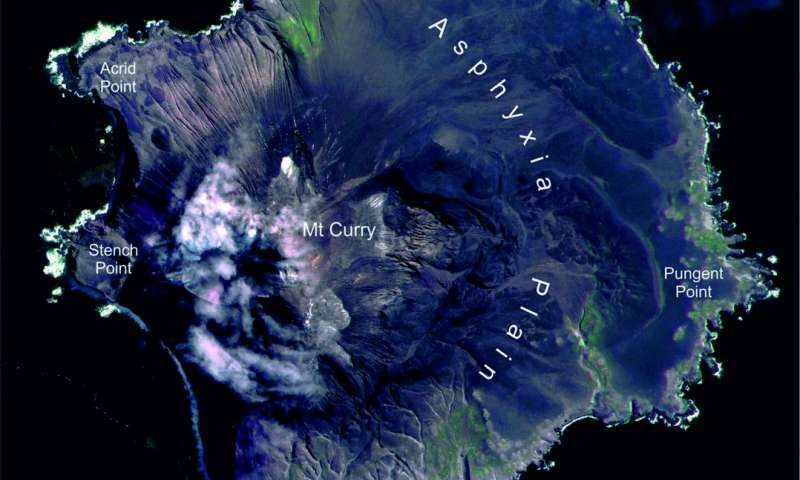 Zavodovski Island is a small island in the South Sandwich archipelago and its volcano Mt Curry has been erupting since March 2016. The island is home to over one million chinstrap penguins—the largest colony for this species in the world. Following the earthquake, fishing vessels in the area licenced by the Government of South Georgia & the South Sandwich Islands, captured photos of the Zavodovski Island eruption. 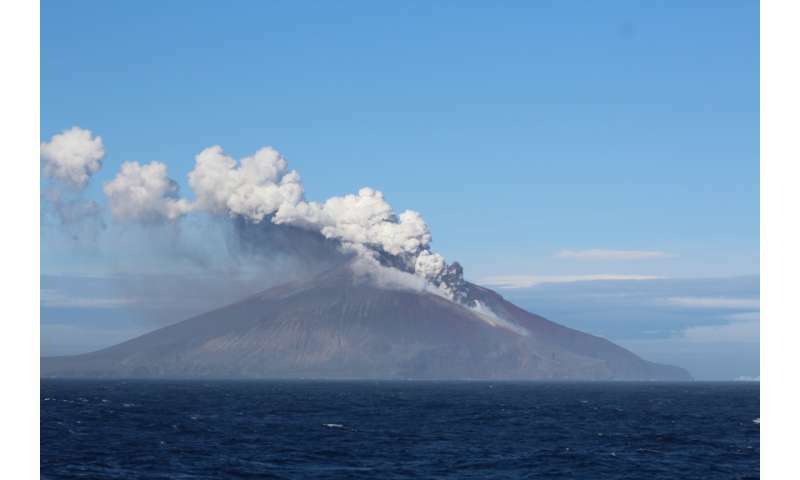 They show the main volcanic vent is on the western side of the island, but the prevailing wind is blowing the smoke and ash to the east, and depositing much of it on the lower slopes of the volcano. These are home to the chinstraps, closely packed in great numbers. In addition there are around 180,000 macaroni penguins. Satellite images have confirmed that between one third and one half of the island has so far been covered in ash. At the time photos were taken, the adult chinstraps were moulting, shedding their old feathers for new ones and therefore unable to leave the island. "We don't know what impact the ash will have on the penguins. If it has been heavy and widespread it may have a serious effect on the population. It's impossible to say but two scientific expeditions are scheduled to visit the region from later this year and will try to assess the impact of the eruption." 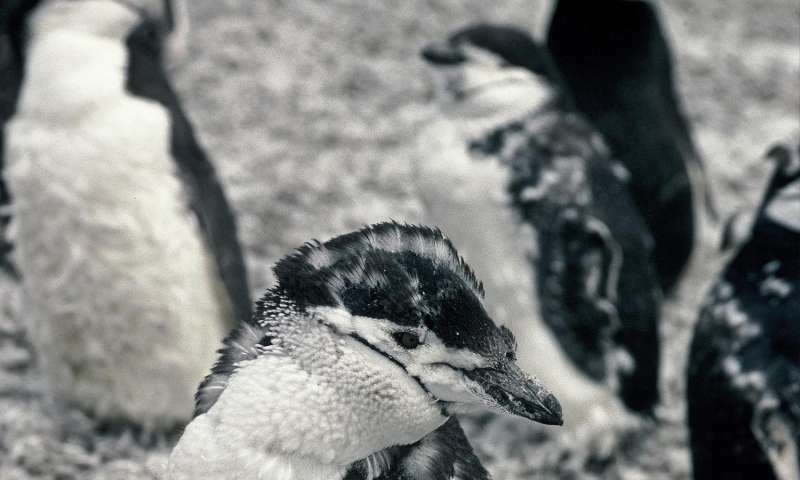 Penguin ecologist Mike Dunn from BAS says: "As the images were captured during the moult period for the chinstraps, the consequences could be very significant. When the penguins return to breed later in the year, it will be interesting to see what impact this event has on their numbers."